Aladdin Lamps reintroduced the Artichoke shaped glass shade in commemoration of the company's 100th Anniversary. The perfect lamp shade for a brass table or student lamp! The cased green over opal provides an excellent, soft reading light. 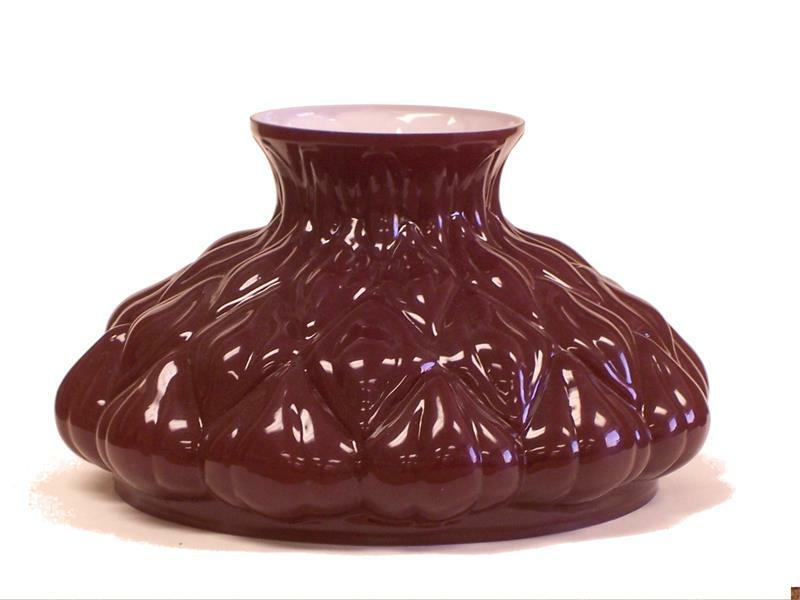 This glass lamp shade will fit any lamp (electric, kerosene, coal oil, or oil) with a 10" shade support or shade ring. 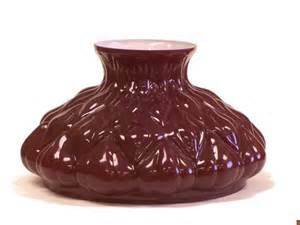 10 inch fitter, hand-blown ruby red over opal, cased glass shade, 6 3/4 inch height www.p65warnings.ca.gov.